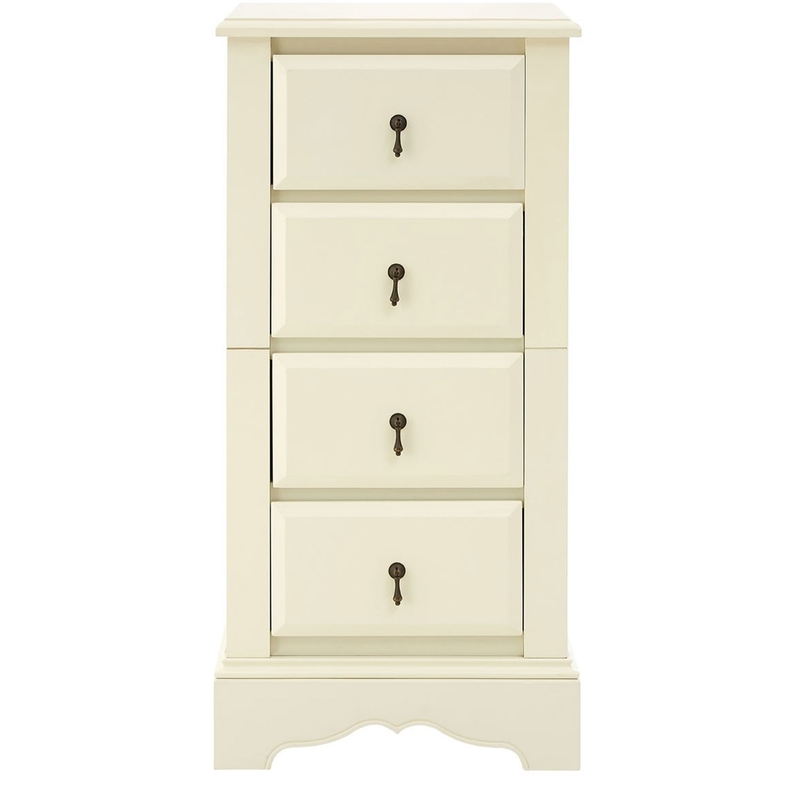 We are very proud to introduce this gorgeous Florence 4 Drawer Chest. It has a beautiful design which is inspired by an antique-french style, given a shabby chic touch. This chest of drawers is created from MDF and has been given an ivory colour to add to its shabby chic design, whilst also making it look very warming and homely.